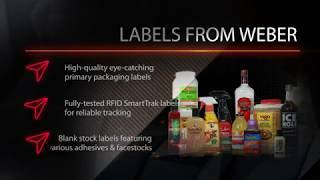 Weber Packaging Solutions is a leading innovator in the design, engineering, manufacture and supply of high-performance pressure-sensitive labels, labeling systems and continuous ink jet systems. For over eighty years, we have been bringing innovative products to our customers and helping them solve their labeling and coding problems. Originally founded in 1932 as Weber Addressing Machine Company, we have grown along with the ever-changing technology of labeling to become an international leader in producing labeling and coding solutions we never could have imagined over so long ago. Now, from our world headquarters and manufacturing facility near Chicago, we provide labeling products, coding systems and services for over fifty thousand companies. Weber products can be found in every industry, from the smallest manufacturer to the largest Fortune 500 operation.